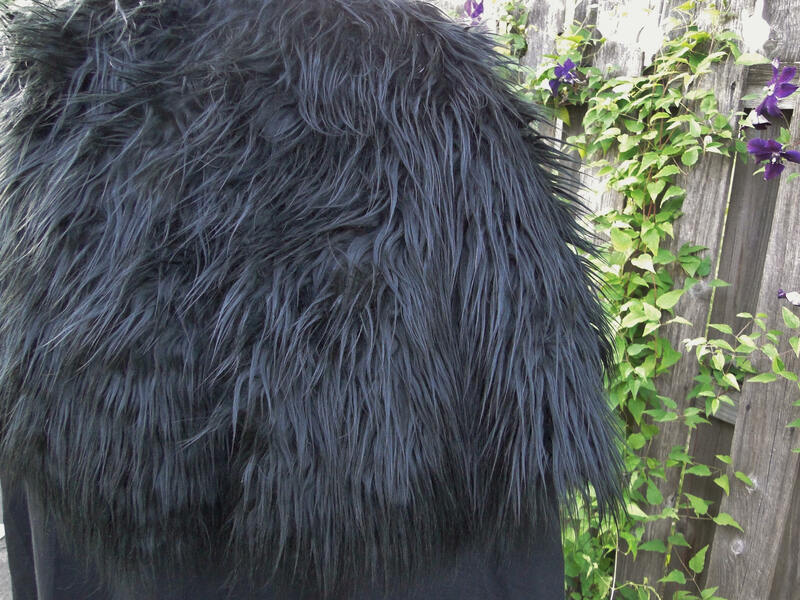 Make your costume complete with this deluxe cloak! 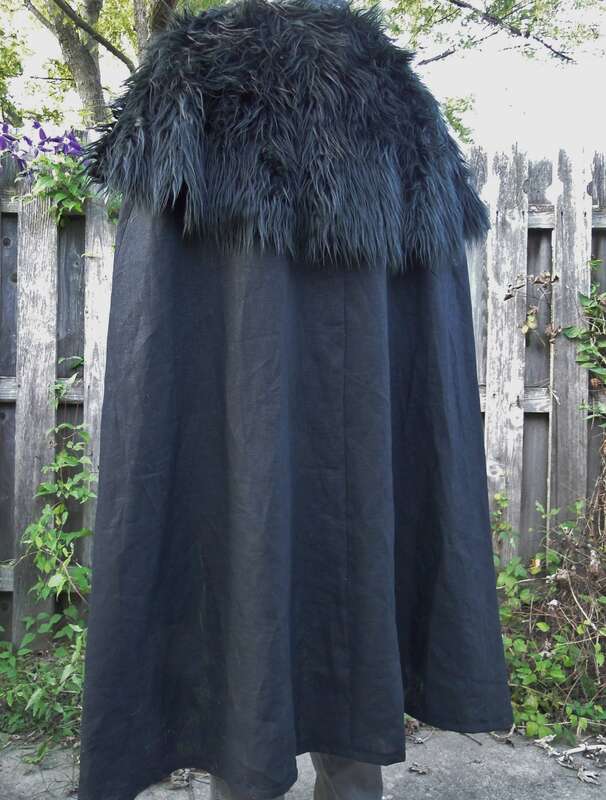 Full flowing long cape made with black linen. 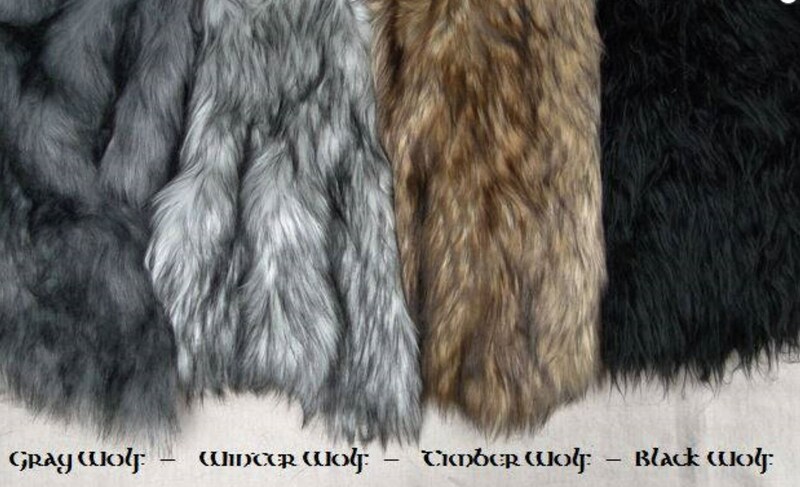 Features large faux fur mantle, with high quality realistic fur. 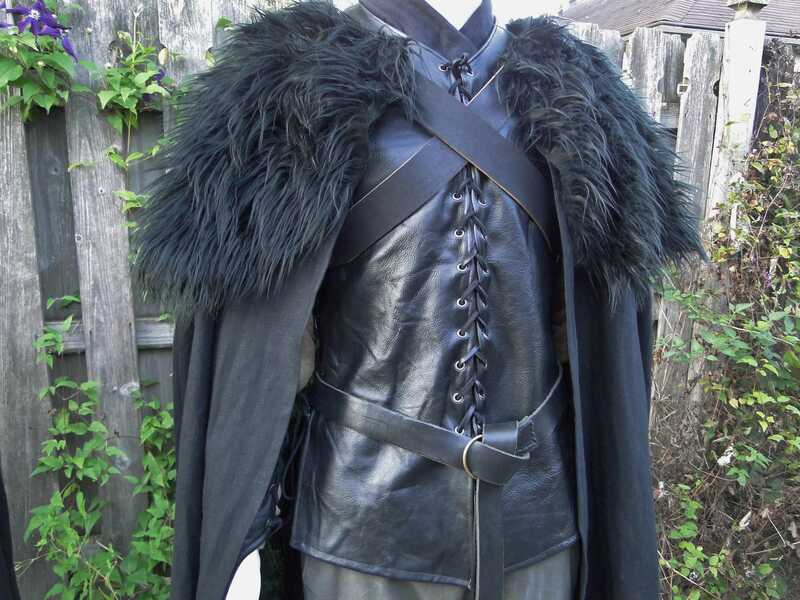 Genuine leather chest straps are adjustable at sides with buckles, fits men size L-XL. Full draping curved shoulders. Approx. 50" from top of shoulder to bottom hem. 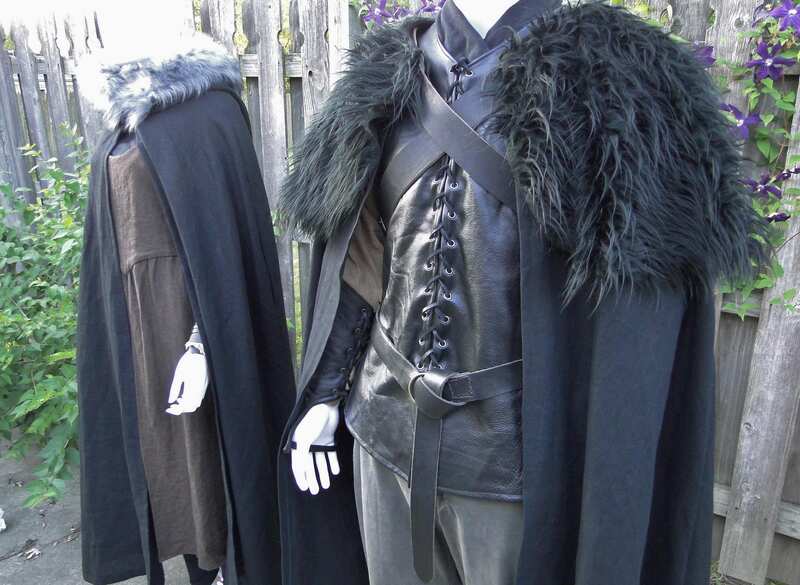 We have a wide selection of cloaks available, visit our shop! 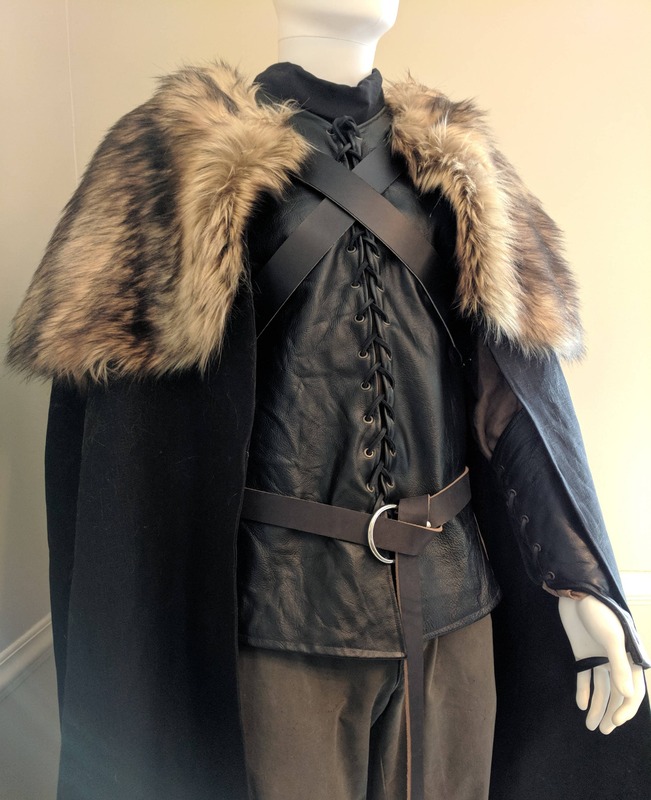 I ordered a custom length cloak with a tight deadline. The seller crushed our expectations. The cloak came in early and is absolutely beautiful! Will definitely do business again. Deluxe is just the word that I would use to describe this cape. It looked beautiful as the wind blew in my direction with this cloak flowing behind me. I received many compliments on it. The shipping was very fast and the seller was courteous enough to answer and respond to any questions that I had. I will definitely be buying from them again!